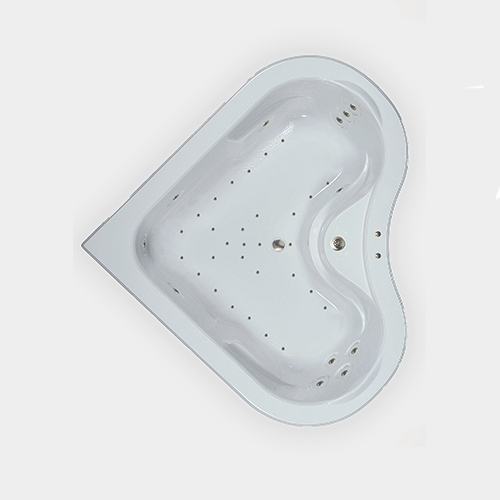 You’ll fall in love with the unique features of the Premier 6464 air bath. Designed for two people, its 90-degree angle tucks neatly into a corner, while the arches opposite soften hard edges. 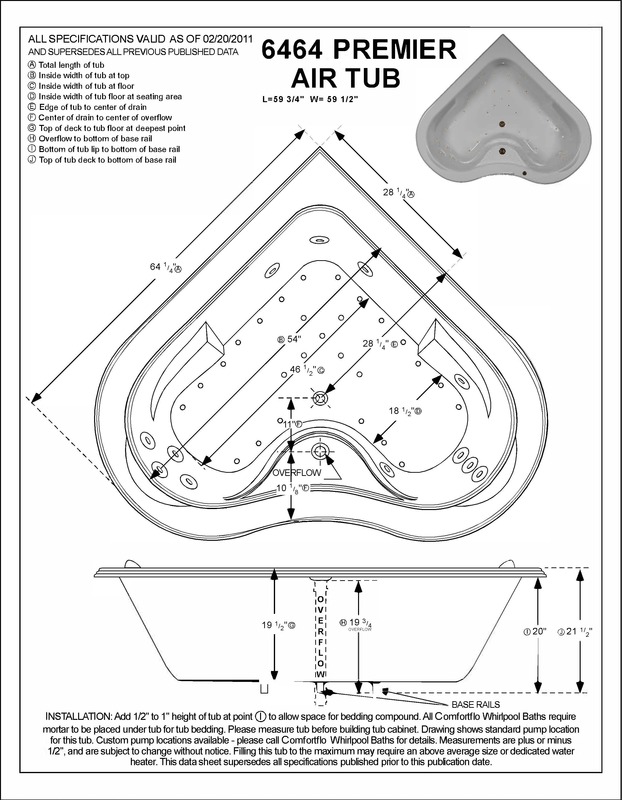 Our exclusive Top Overflow is included and ensures added water depth. The powerful blower heats the air pushed through 39 air injectors, creating millions of bubbles, and the hardware finishes can be customized to fit your bathroom’s design scheme. A textured floor makes the bottom of the tub slip resistant. Make the Premier 6464 the crown jewel of your bathroom.